James Hinchcliffe’s inspiring journey from pain-to-recovery at Indianapolis Motor Speedway took him to the top of the qualifying chart for the 100th running of the Indianapolis 500 Saturday evening, one year after the Canadian suffered “Code 5” life-threatening bleeding injuries in a grinder-of-a-crash on the 2.5-mile oval. Hinchcliffe bolted to P1 during the frantic final 75 minutes of Day 1 qualifying for “The Greatest Spectacle in Racing,” averaging 230.946 mph for his four-lap/10-mile attempt after withdrawing a previous effort in order to try to crack the top nine. 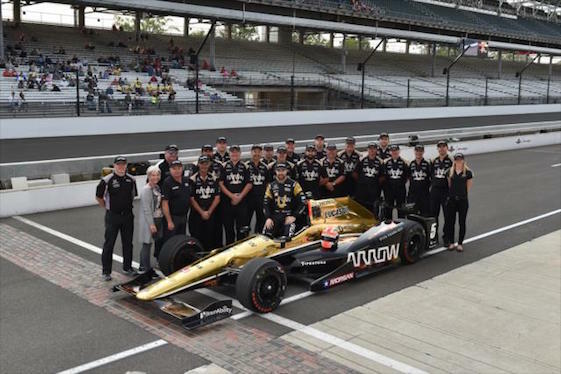 Hinchcliffe and the rest of the top nine will get one Armed Forces Pole Day shot Sunday, when the grid for the race’s historic 100th edition is determined. The other drivers in the Fast Nine Shootout with a chance at the Verizon P1 Award and $100,000 are 2014 Indianapolis 500 champion Ryan Hunter-Reay of Andretti Autosport, Will Power (Team Penske), three-time 500 champion Helio Castroneves (Team Penske), Townsend Bell (Andretti Autosport), Josef Newgarden (Ed Carpenter Racing), Mikhail Aleshin (Schmidt Peterson Motorsports), Carlos Munoz (Andretti Autosport) and series point-leader Simon Pagenaud (Team Penske). All qualified with a four-lap average over 230 mph, but none carried the emotional baggage of the popular “Mayor of Hinchtown” _ James’ Internet community. “It was pretty good,” Hinchcliffe said of his second run. “I mean it was really good. What am I talking about? Huge credit to the Schmidt Peterson Motorsports guys. They’ve worked so hard on these race cars since back in February. We’ve got three quick ones. I mean, the No. 77 (Oriol Servia) and the No. 7 (Aleshin) were quick as well. “After our first run, we didn’t quite maximize. I made some mistakes on my shifting pattern. I was kind of mad at myself about that. Kind of got in my own head a little bit. 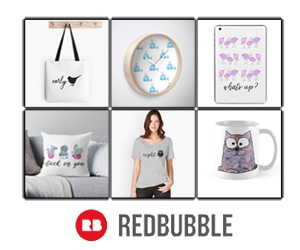 We made some changes. We knew everybody was going to go out again and try and improve. We made a couple changes to the car, because, I mean, the Arrow Electronics car was not only fast but it held on for all four laps. The consistency was there. That was a big key today. “It doesn’t mean much today; it’s bragging rights. It’s pay for the boys (his crew), because it validates all the effort they put into this race car. It gets us in the Fast Nine, obviously, which was the big point today. “A lot of people were kind of giving flack today because there were only 33 cars and it wasn’t really necessarily a Bump Day. But I think everybody will tell you that the competitive spirit about trying to get in the Fast Nine…we were stressing between our first and second runs as if we were sitting on the bubble for the race. So there was definitely drama for the race teams and for the drivers with the conditions and a lot of things. Hinchcliffe qualified his No. 5 Honda 24th last May with a four-lap/10-mile average speed of 223.519 mph. During post-qualifying practice on the following Monday (May 18), Hinchcliffe crashed into the SAFER Barrier in Turn 3. The impact flattened the right side of the car and pinned Hinchcliffe inside, with one of the suspension wishbones penetrating the Dallara safety cell. The steel wishbone entered and exited Hinchcliffe’s right leg and upper left thigh, continuing into his pelvic region. Members of the series’ Holmatro Safety Team cut the wishbone from the chassis to free Hinchcliffe from the wreckage. Trackside timing and scoring data showed Hinchcliffe was traveling at approximately 228 mph before a suspension failure sent his car into the SAFER Barrier nose-first. The force of impact reportedly was measured at 125 Gs, placing it among the most violent for an open-wheel car at IMS. Hinchcliffe was taken by ambulance to the IU Health Methodist Hospital in Indianapolis where he underwent successful surgery to his pelvic area and upper left thigh. With the help of Power, Hinchcliffe exited the hospital on May 28 to begin a summer-long recovery regimen. Hinchcliffe, who began his Verizon IndyCar Series career in 2011 with Newman/Haas Racing, said Saturday’s business-at-hand overshadowed any crash flashbacks. “In the heat of the moment all you’re thinking about is the moment,” said Hinchcliffe, a 29-year-old native of Toronto. “You’re thinking about the competition, you’re thinking about getting the best out of your car and the best out of yourself. For sure, our first run, same thing. That was the hardest qualifying attempt I had ever done at the Speedway here. “When you kind of take a step back and let yourself think about it a little bit, it does feel good, for sure. This racetrack means a lot to everybody in the series, everybody in the sport. And the city of Indianapolis has been so behind me from Day One after the deal a year ago. It’s great to come out here and do something like that. Aleshin, the first Russian to compete in the Verizon IndyCar Series, actually bumped his way into the Fast Nine Shootout twice during the final hour of qualifying, extended one hour by INDYCAR officials to 7 p.m. after morning rains delayed track activity. Aleshin’s last attempt officially started one second before the gun to end the session. Andretti Autosport qualified three of its Hondas in the Fast Nine Shootout _ Hunter-Reay, Townsend Bell and Munoz _ giving the manufacturer a 5-4 edge over Chevrolet in their battle of twin-turbocharged, 2.2-liter V-6 engines and superspeedway aero kits. Team Penske led the way for Chevy with three of its four cars qualifying, including the No. 3 of Castroneves, a three-time Indy 500 champion who will chase his fifth 500 pole Sunday. Two-time/reigning Indianapolis 500 champion Juan Pablo Montoya failed to crack the top nine and will only be able to qualify as high as 10th on the grid. In typical fashion, JPM brushed-off the outcome. The track will open for practice at noon (ET) Sunday, with cars outside the top nine practicing until 1:15 p.m. Fast Nine Shootout cars will practice from 1:30-2 p.m. From 2:45-4:45 p.m., qualifying will set positions 10 through 33 on the grid. Fast Nine qualifying will determine the 2016 Indianapolis 500 pole- sitter and set the rest of the first three rows from 5-5:45 p.m.
Sunday’s coverage will begin on ESPN3 (2:30-4 p.m. ET) and ABC (4-6 p.m. ET), with practice streaming on RaceControl.IndyCar.com. Coverage of the 100th running of the Indianapolis 500 will begin at 11 a.m. (ET) May 29 on ABC and the Advance Auto Parts INDYCAR Radio Network.